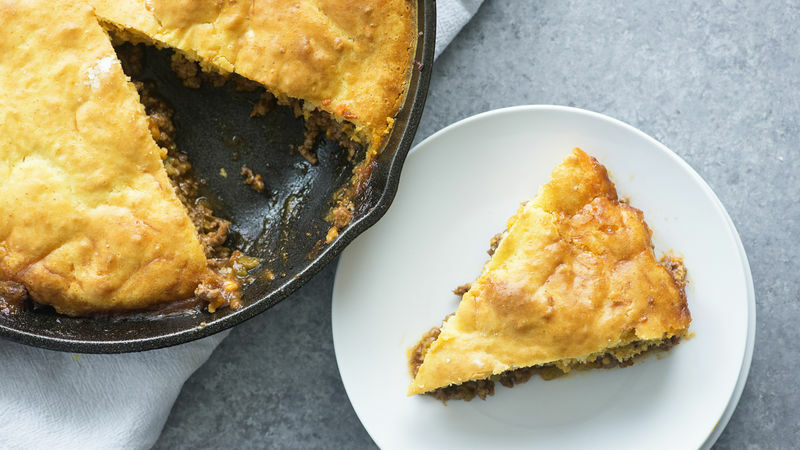 In 10-inch ovenproof skillet, brown beef over medium heat, crumbling as it cooks; drain fat. Stir in chiles and enchilada sauce. Top with cheese. In small bowl, stir Bisquick™ mix, milk and egg with fork until combined. Pour mixture over cheese. Bake about 30 minutes or until crust is golden brown. Serve with a dollop of sour cream and guacamole.